The Stylish Man's Home Gym | Valet. Now this is one good looking home gym, designed by Carney Logan Burke in Jackson Hole, Wyoming. Working out at home can be the ultimate luxury. There's no commute time, no waiting for someone to get off the machine you want to use and no anxiety or unnecessary pressure from grunting gym dudes (you know the ones). And while having a home gym used to mean a large room dedicated to housing bulky fitness equipment and racks of weights, such is not the case these days. Thankfully, some of the best options now are compact enough to be easily stored out of the way and quickly set up so you can get a full workout in any room of your home. Plus, they're good looking enough to not stand out. When they're not being used, they look more like furniture or sculpture. Here are the eight essentials of the stylish man's home gym. If you could only get one piece of equipment from this group, this is likely the item you want. Nohrd's Slimbeam offers up all the benefits of cable training in a sleek stand that sticks out less than a foot and a half from the wall. Inside its award-winning wood design, there are 14 weight plates that let you adjust between 11 and 165 pounds of resistance—each rubberized to prevent unnecessary noise. They're controlled by synthetically coated cables that run smoothly via an adjustable butterfly mechanism which allows you to work both sides of your body at once. This wall-mounted bar gym is an old school piece of equipment that's versatile, simple and stylishly understated. Known as stall bars, they can be used for plenty of core, grip and strength-building workouts. 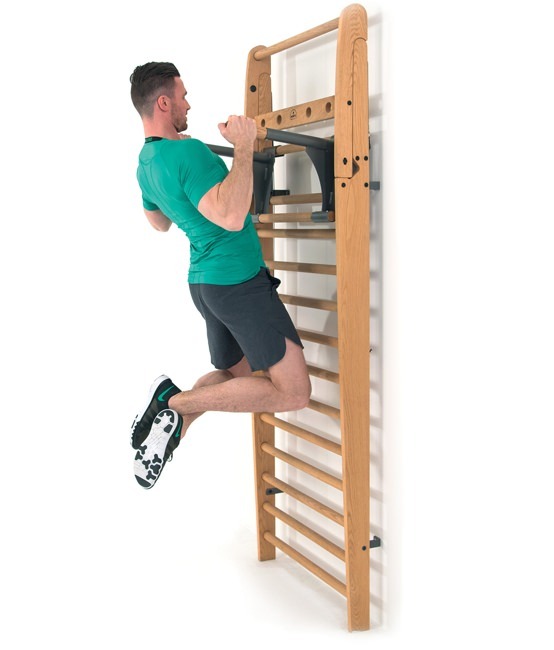 Plus, the top folds down for a handy pull-up bar. No aesthete's home gym would be complete without this streamlined, internet-connected, stationary cycling bike. The cult-favorite bike is made from carbon steel and aluminum with a weighted flywheel in the front that determines the level of resistance while you're riding. 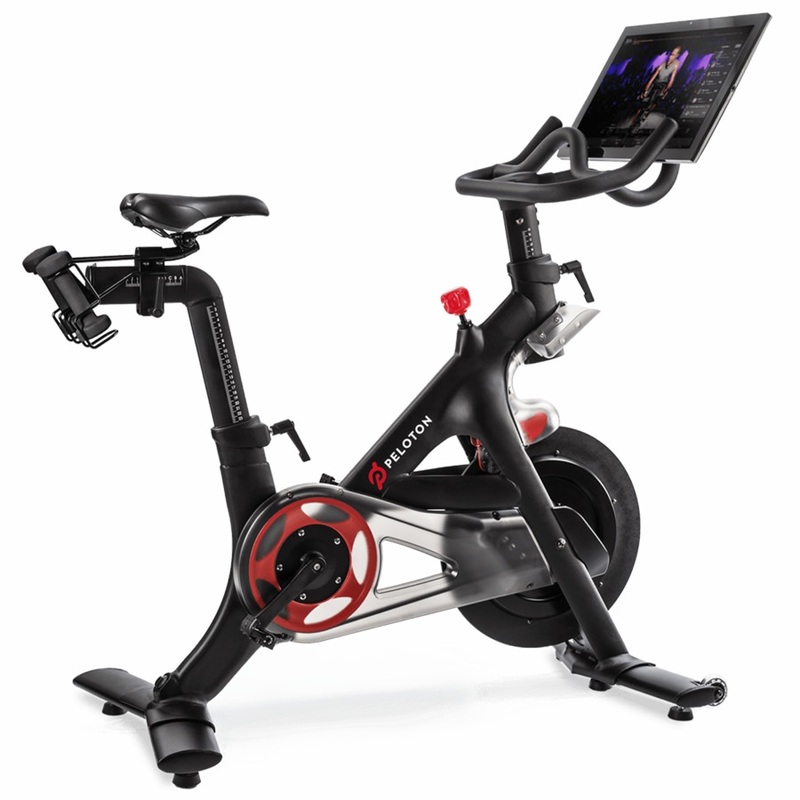 And unlike most stationary bikes, this one has a 22" sweat-proof screen that pipes in virtual rides, on-demand lessons and up to 14 live classes daily. 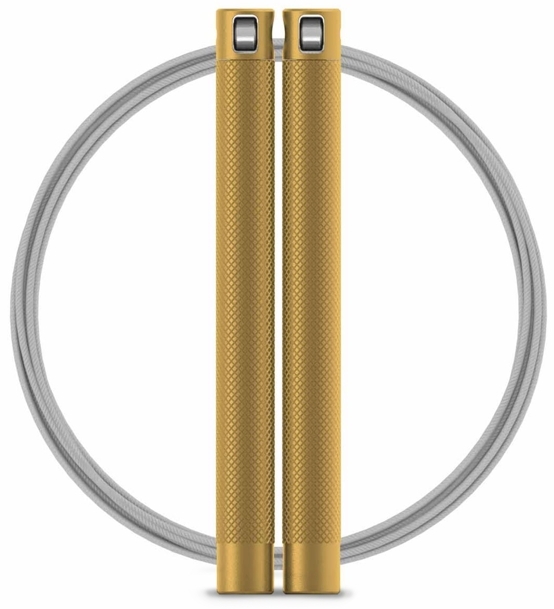 This is not your ordinary jump rope. From its precision machined aluminum handles (complete with etched diamond grip) to an internal anti-friction system for a smooth spin and maximum power transfer, these are all but guaranteed to increase your output. And if not, they'll look damn good hanging from a wall-mounted hook. 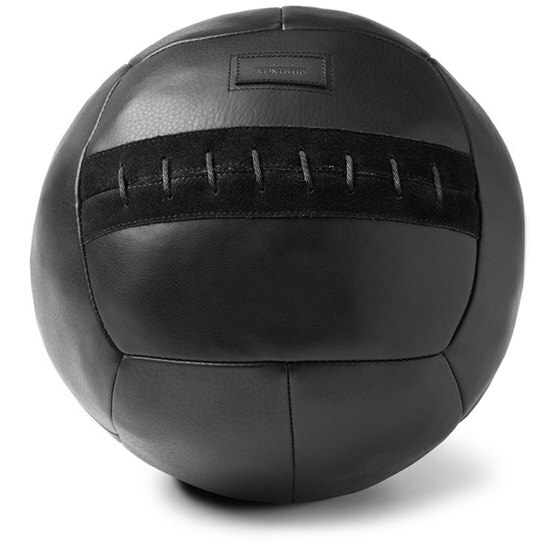 There are a lot of moves you can do with a weighted medicine ball. This one, from Los Angeles-based Killspencer, is elegant and stealthy yet made with professional grade specs to ensure it does the job well. The 20-pound ball is crafted from 12 hand-stitched panels that are easy on the hands (and the eyes). A favorite of the personal trainers at Equinox, the ViPR is a versatile alternative to dumbbells and its unique pipe-like design makes it easy to press overhead, move from hand to hand and roll on the floor—motions that work the shoulders, back, chest and arms. When not in use, it can easily stand on its own and the minimalist style makes it more like a sculptural art piece than gym equipment. The reason why we're seeing battle ropes more and more these days is because when it comes to burning fat and building muscle, they can be a hell of a lot more effective than lifting weights and hitting the treadmill. 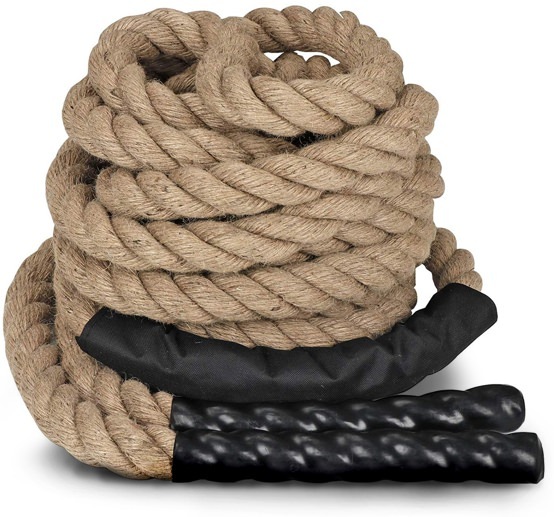 This rope is more of a classic, natural rope but comes with heat-shrunk rubberized caps on the end for a better grip and to protect your hands. Lululemon makes high quality yoga mats. And this one is generously sized and features a non-slip surface and an antimicrobial treatment to keep it smelling and feeling fresh. This squared off bottle is made from Tritan, a high quality BPA-free plastic that's shock resistant and as transparent as glass.